The store is deliberately designed without a typical window. Installed directly behind the glass façade are vertical wooden lamellas. These lamellas extend via the façade past the walls into the shop like an enormous folding screen – helping to create the feeling of being closed off from the rest of the shopping centre. The objective being to create an intimate, almost domestic atmosphere, with a theatrical accent. 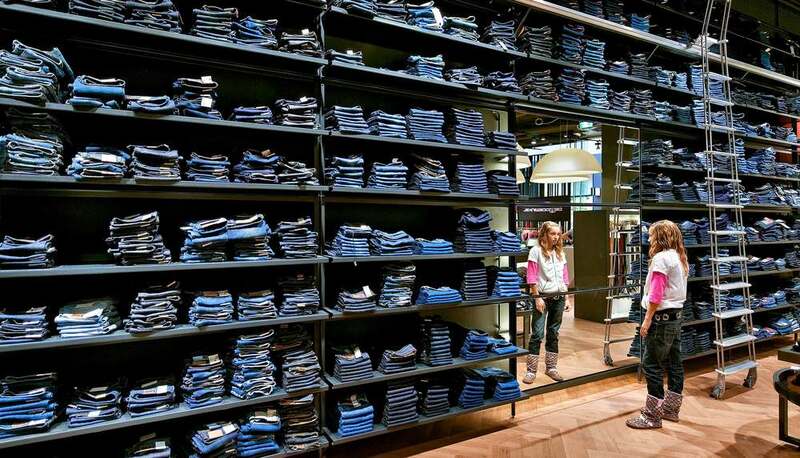 Naturally, the ultimate goal is to persuade the customer to spend additional time in the store, to fit and combine more items of clothing. 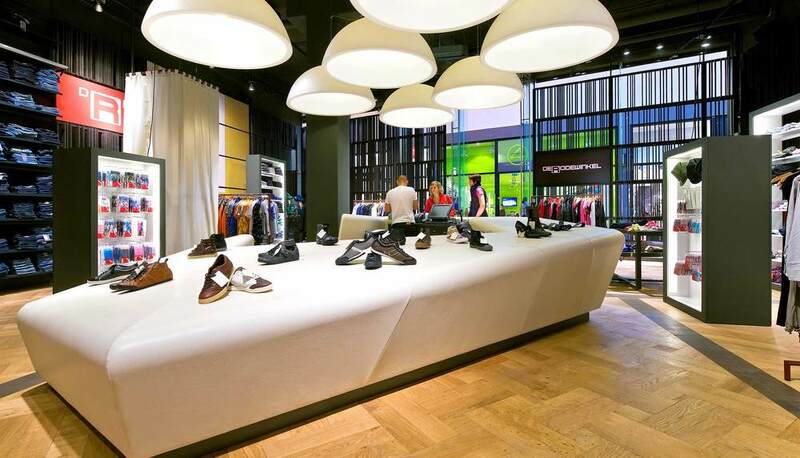 A leather-upholstered cashier’s console with a display space suitable for shoes and other accessories, stands in the middle of the store and measures 10 by 20 metres. The chosen materials (parquet in a variety of patterns, smoked glass, textile, leather etc.) contribute - together with the innovative lighting - to create a warm atmosphere and a feeling of quality and luxury. Surface area: 210 m2.